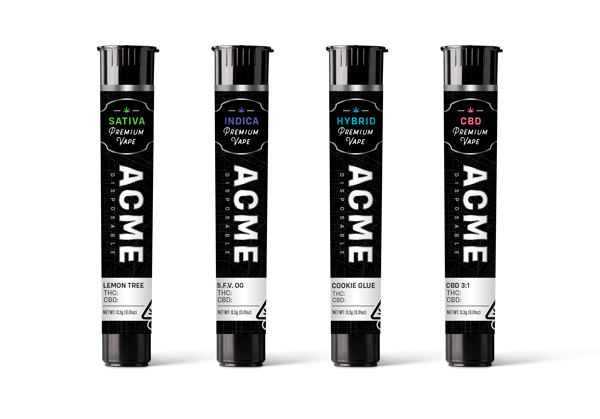 Founded in 2014 by Peter Pietrangeli in Hollywood, Acme was created to bring transparency to the vape category at a time when cannabis regulations were much looser and lacked producer accountability. Pietrangeli’s pioneering efforts included experimentation extensively with various strain profiles and terpene blends before ultimately creating the recognized Acme favorites like Grapefruit OG and Grapewreck, which became a common sight on movie sets and red carpets in the hands of celebrities. 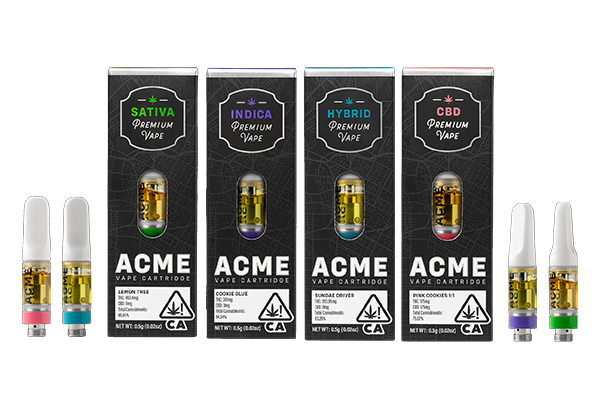 Dedicated to offering a healthy vaping experience, Pietrangeli and the Acme team continue their work developing new blends at various levels of potency that will resonate with both casual users and experienced connoisseurs.